What Are The Powers And Duties Of A Barangay Chairman? The list of powers and duties of a barangay chairman has been released. BARANGAY CHAIRMAN- The public has been informed of the powers and responsibilities of Punong Barangays as a guide for the upcoming 2018 local elections. 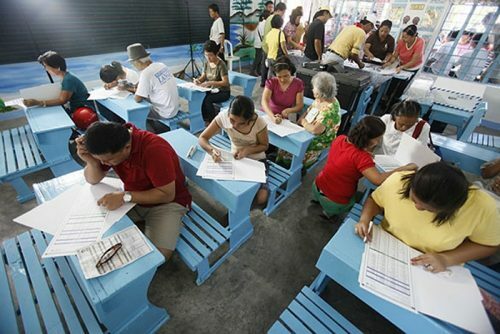 After series of postponements, the schedule of the Sangguniang Kabataan (SK) and Barangay Elections has been officially finalized and is set to take place this coming May 14. Furthermore, the filing of certificates of candidacy already began last April 14, in conjunction with the start of the nationwide banning of firearms. The election period will end on the 12th of May. With regards to the upcoming event, ABS-CBN News recently released on their official Twitter account the lists of powers and responsibilities of a Barangay Chairman with the caption, “Ano nga ba ang trabaho at responsibilidad ng isang punong barangay? #Halalan2018”. As part of the Barangay Justice System, a Barangay Chairman, along with the rest of the Barangay Council have the right to perform official government duties and execute minor judicial powers as prescribed by the law. On the top of the said list is the implementation and enforcement of ordinances within the barangay. Like congressmen and senators, a Barangay Chairman can also regulate rules and decrees, however, to be followed within the community assigned only. Part of a Barangay Chairman’s responsibility, as stated is to lead the ‘Lupon ng Tagapagpamaya’ and maintain order in the community such as settling trivial disputes between neighbors and prompting patrols of Barangay TANODS to ensure the safety and security of the people. The administration of annual sports league such as Palarong Barangay and providing assistance to the members of the Sangguniang Kabataan are correspondingly portion of their obligations as elected public officials. Also included in the list of the obligations the Barangay Chairman has to fulfill are the preparation of annual executive and supplemental budgets of the barangay, the negotiation and signing of contracts, and the supervision of barangay assemblies. Punong Barangays are leaders of the basic political unit, hence, they should set an example to the people by complying well with their obligations.